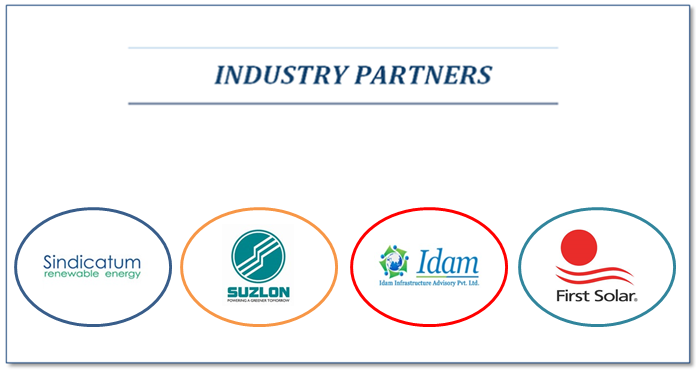 Recognizing the growing need for not only conventional energy, but also alternative renewable energy sources and technologies, the Department of Energy and Environment was established in 2009 with initial support from M/s SUZLON Energy Ltd. The TERI SAS offers the M.Tech Programme in Renewable Energy (RE), for spreading knowledge in the field at an accelerated pace. In 2009 the Department ventured into offering various online (distance learning) programmes as well. These online programmes were developed in collaboration with the OPEN University, UK. The Department collaborates with International universities such as Brandeis University, USA, Deakin Universiy , Australia, Queensland University of Technology , Australia, Freie University, Germany, and Simon Fraser University, Canada to provide state-of-the-art knowledge on new and emerging developments in energy technologies, methodologies and tools for evaluation, assessment and decision-making. Postgraduate programmes of the Department are AICTE and DEC approved. Overarching emphasis is given towards practical learning thus exposing students to industrial projects through field visits and internships. Hands-on experience in industrial, consulting and research projects is imparted while working in various organisations during minor and major internships / projects. Minor internship is of two-month duration in the third semester from June – July. Major internship is of four-month duration in the fourth semester from January – April. Internship projects are designed to give students exposure to real life issues and challenges in the field. Not only professionals from host organizations act as mentors during internship, but also a faculty member is assigned to each student to guide and monitor his/her progress. The placement cell of the University strives in forging relationships with the industry and offers excellent placement opportunities in top industrial houses, government institutions, NGOs, consulting firms etc. With help from faculty/alumni, it invites national and international experts in the field and provides ample opportunity for students to interact and carve out suitable career options in their fields of interest. Placement opportunities provided by different organisations so far is depicted in the following figure. "My experience at the University has been enriching. The University is one of a kind, since here it’s the overall development of the student which is given importance and not only academics. Not just the faculty, but the entire staff of TERI University has always been very helpful and supportive in all aspects." As a result of the overarching emphasis on real world scenario, students become empowered to move from conventional approach of job seeking to job creation in the area of energy efficiency and renewable energy. Risks associated in such ventures are thoroughly studied with the help of faculty. Knowledge on methods and processes of establishing enterprises acquired from the interdisciplinary course enable the students to go out into the field and become entrepreneurs. TERI School of Advanced Studies is committed to provide students with a dedicated environment for research and development in the field of sustainability. At TERI, students are encouraged to participate in various field activities/conferences/workshops to get to know the real market and industry. One important factor which distinguishes TERI from other colleges is a regular and reliable feedback system, wherein students can give their valuable feedback on the faculties and raise a concern if they need any improvement. M.Tech in Renewable Energy Engineering and Management (REEM), the course which I pursued during my stint at TERI, offers a lot to learn in terms of renewable technology. It offers specialization in particular renewable technology in the 4th semester on the basis of electives chosen. Fantastic curriculum experienced faculty, cool campus, green careers. Most recommendable University for Renewable Energy courses. My experience at the University has been enriching. The University is one of a kind, since here it’s the overall development of the student which is given importance and not only academics. Not just the faculty, but the entire staff of TERI Schoolo of Advanced Studies has always been very helpful and supportive in all aspects. The TERI SAS offers, first of its kind, multidisciplinary, postgraduate programme in Renewable Energy Engineering and Management to fulfil the increasing demand for trained professionals in the field of renewable energy and energy management. The University, incorporating the sustainable development concepts into the REEM curriculum, provides a unique programme integrating technology, leadership and sustainable development concepts, and helps develop techno-economically sound as well as environmentally conscious students with state-of-the art competencies in design and implementation/deployment of RE technologies. The programme brings in faculty with rich and up-to-date experience in research, development, implementation and policy formulation domains related with energy and renewables in particular. M.Tech (REEM) programme prepares the students in theoretical as well as practical aspects of renewable energy technologies, energy conservation, and management. This multi-disciplinary integrated programme train the students not only in renewable energy technologies and its implementation but also in equally important areas of energy infrastructure, rational use of energy, energy policies and regulations, and energy-environment interface etc. The programme exhibits its uniqueness fostering the much sought-after leadership skills through the management energy courses. Thus, the programme enables the students to tackle practical problems of design, development, deployment in the industry, and to pursue academics as well as frontiers of research.